The bass guitar has become a very popular instrument, especially in traditional bands where it accompanies the lead guitar and drums. There are so many different brands and models of bass guitar, so it can be easy to become lost in confusion while shopping for a new bass guitar. We hope that we can help you with buying a bass guitar through this guide. We’ll tell you a bit about each kind of bass guitar and what accessories you’ll need to buy. Electric bass guitars are modern versions of classical upright basses. They’re easier to play, easier to master, and much cheaper. But choosing your very first electric bass guitar may be hard, so we’re here to help you out. To find the best bass guitar, you can check out our guide on the best bass guitar brands. First of all, you shouldn’t fret (see what we did there) about making a mistake. You can easily find a decent bass guitar for an affordable price which we’ll cover later. There are various things you should keep in mind before you make the decision – what type of bass you’d like to play, what gear to get, what types of strings, what setup, and more. Electric basses are very similar to the traditional basses in terms of sound, but they’re nothing alike in design. The traditional upright basses were pretty unique, but they soon branched out, creating the bass family – double bass, octabass, bass violins, bass violas, and more. Then came the electric bass. Electric bass guitars are modern, and they have nothing to do with the classical conception of the bass family. There are different types and forms of bass guitars, each offering different playing styles, benefits, and such. The standard electric bass guitar is the one that’s equipped with four strings (E, A, D, and G), with a standard body length, issues tuners, headgear, and pickups. Basically, every bass that doesn’t belong in other categories is a standard electric bass guitar. Standard basses can be plucked, strummed, slapped, popped, played with fingers, or played with a pick – just like with a regular guitar. Anyway, these basses are very common, as they belong to the most versatile category of electric bass guitars. The term “Multi-String” implies that these electric bass guitars come supplied with more strings when compared to the standard electric bass guitars. We’ve already mentioned that the standard issue bass guitar comes with 4 strings, but Multi-String electric basses generally come with at least 5. Some years ago, 5-string basses were quite common, mainly because there was an insurgence of 6-string and 7-string basses. Nowadays, it’s not uncommon to see a bassist with a 12-string instrument, and the world record is held by a bassist who owns a 24-string bass. Needless to say, a true bassist doesn’t need that many strings, but people like to play around. A true professional can manage with 2-3 strings with ease. More strings just limits your creativity. Fretless bass guitars are considered to be professional-level bass guitars. This bass guitar comes with a different set of strings, it produces a different sound, and it doesn’t have frets. Playing a fretless electric bass is very hard, as only professionals can manage to pinpoint the exact location of a note without using the frets for help. Regardless, hammer-ons, pull-offs, and slides are easier on fretless basses, as there are no frets that hinder movement on the fingerboard. The only downfall is that the note positions aren’t the same when compared to other fretted instruments. This is the reason why a great dose of skill is required if you’re to play it in a group. Headless electric bass guitars were made by Steinberger Musical Instruments Company. Since they’re headless, they actually come without the “head.” The tuners are located beneath the pickups, which makes these basses exceptionally compact. Another great benefit of headless electric bass guitars is that they were practically invented to stand out. Most of these instruments come supplied with active electronics, and they seldom fall out of tune. If you’re accustomed to standard bass guitars you might need some time to adjust to the weight of headless basses, as the center point of weight is different. Since they don’t have a head, they weigh less in general, but that still doesn’t make them perfect. They are harder to tune, and the strings are harder to replace. They’re often a bit more expensive when compared to regular bass models. Jazz Bass isn’t really a category – it’s more of a role of electric bass guitar when combined with a certain playing style in a certain genre of music. In this case, we’re talking about Jazz music. Jazz Bass instruments refer to classic contrabass models and electric bass guitars, but we’re primarily concerned with the latter. Jazz electric bass guitars are designed so that they can be more versatile than regular bass models. They’re supposed to accompany the rhythm section with the walking bassline, but they’re also supposed to provide a certain rhythmic drive. Apart from that, there are no significant differences between a regular and a jazz bass. 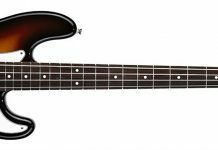 Fender invented precision bass guitars, and they’re often called P-Basses. Precision basses come with a longer neck, and it is quite common that these bass guitars have more frets. This increases the sound range of an instrument, but it also makes it more versatile. Most bass players remain in the low-note section during a song, but an increased range means easier soloing. The sound of the P-Bass is significantly different when compared to a regular bass guitar. Rockers adore it, jazz musicians love it, but musicians from the other music genres prefer other bass types. The acoustic bass is a non-electric bass while the acoustic electric bass guitar combines the elements from both. The main purpose of this bass type is to recreate the sound of an acoustic bass through an amplification device. Since basses are often quiet when unplugged, you can easily spot the reason why people wanted to wire up their acoustic basses. Read our guide on the best acoustic bass guitars to learn more about this type of bass. Sound is definitely the most important factor. If a bass guitar doesn’t sound good, you can scratch all other elements from the following list. The main purpose of the instrument is to sound good – make sure that you’re satisfied with this component, as it can compensate for the lack of others. 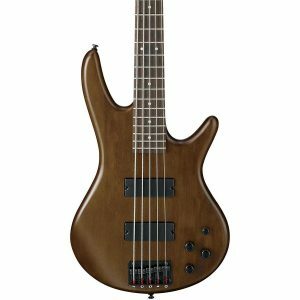 There are various price point categories of bass guitars, and you will find great basses at whatever price point you look. Simply because a bass is expensive doesn’t mean that it is good (and vice versa). You can find many bass guitars for less than $1000 and most beginner bass guitars begin around $150. Durability is a major factor in choosing the right bass guitar since you will want to play with the same bass guitar for years. If you want a great bass, look for sturdy ones made from mahogany, ashwood, or maple. The playability of an electric bass guitar is often determined subjectively. If your friend liked a bass, there’s a chance that you won’t (or vice versa). Playability is made up by how you feel holding the bass, how it sounds, and how it slides through your fingers. If the bass feels right when you are playing it, it is probably the right bass for you. Aesthetics are not as vital as sound, but they are still important. You certainly don’t want an ugly bass since you’ll be showing it off when you perform, but if you can’t find the perfect-looking bass, that’s ok.
Where do you buy a bass guitar? Bass guitars can be found in many places, but there a few great places to start your bass guitar search. Nowadays Amazon is a great place to start your bass guitar search. Before you buy, you can read our guide on the best bass guitar brands so that you know you’re buying a quality instrument. They have a wide selection of bass guitars available along with all of the gear required. They also offer great warranties on musical instruments that you might not get elsewhere. Amazon is best for beginner bass guitars. If you’re looking for more vintage options, you might want to try the other options below. See bass guitars on Amazon. Local music or guitar shops are another great place to look for bass guitars. You will be able to work with a salesperson to find the perfect bass guitar for you and you can find deals where you can rent a bass guitar and earn credits. Even if you buy a bass guitar outright from one of these stores, you have the peace of mind that you can always take your bass in for repairs at that store. Finally, if you are looking to buy a used bass guitar, you can always check out eBay. There are constantly auctions and sales on great bass guitars. You run the risk of buying a bass guitar that isn’t in the best of shape, but it will certainly be worth the price. Bass guitar strings are very important. They provide sound through vibrations, and the quality of that sound will largely depend on the quality of those vibrations. Bass strings are often more expensive than standard guitar strings, but they last much longer. Pickups are the magnets located on the body of a bass guitar. They affect how your bass will sound when wired to an amplification device. In the process of creating sound, a set of good pickups can make a significant difference. You can choose between single-coils, double-coils, EMGs, and such. You will need a bass guitar amp if you want anyone to hear you playing. Bass guitar amps increase the sound your bass guitar produces by sending electrical signals through a cable to the amplification speaker. To find the best amps for your bass, check out our guide on the best bass guitar amps. Bass guitar pedals are important because they add an additional layer of depth and tone to your playing. They can help you cut through the rest of the noise on screen and really stand out as a bass guitar player. Below are some of the pedals you might encounter. Volume pedals offer a convenient way for bassists to easily adjust the volume of their bass from the pedalpaord instead of on the amp or bass itself. While more frequently used by guitarists for volume swells, bass guitarists also use the volume pedal. One of the more common uses of the volume pedal is for tuning so that a chromatic tuner can pick up the sound while the main rig remains silent. Wah-Wah is actually a type of delay, where you shift the sound up and down (mimicking “Wah-Wah” noise). Wah-Wah pedals aren’t exactly necessary for a good bassist, but they’re good to have in your rig. You can get one for $20 – $40. Compression pedal is an absolute must in a professionals rig. This pedal simply reduces the unwanted noises during bass playing. It lowers the unpleasant frequencies, making the sound clear and rich. These pedals are also quite affordable. Delay is an Effect Pedal. This pedal simply delays the sound output by milliseconds (when properly attuned) or by full seconds (when maxed out), but most musicians use these pedals for soloing. If you’re a bassist who plays a vital role in a band, you should consider purchasing a delay pedal. 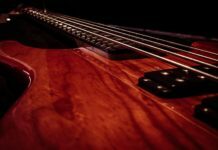 We hope that this guide has given you a great overview of bass guitars and how to buy a bass guitar. In most cases, you will be using a classic electric bass guitar, but if you need a different style, you can look through the different types above. 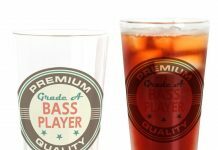 Generally the preferred bass guitar depends on the person and the needs of the band, so there is no perfect bass for every bassist. We recommend that you try a lot of bass guitars before making a decision.